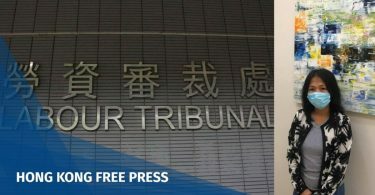 Tommy Cheung was one of nine leading Umbrella Movement activists found guilty of public nuisance for their involvement in the 2014 pro-democracy protests on Tuesday. 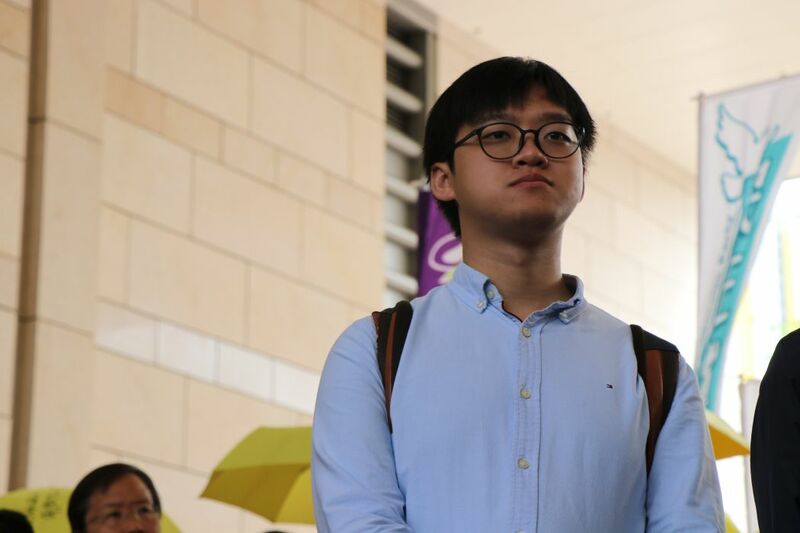 The former student leader shared his mitigation statement ahead of his sentencing. He read out a Chinese version in court on Wednesday morning. Tommy Cheung. Photo: Ezra Cheung. At this moment, I yet again recall the inauguration speech I gave to my fellow students at the Chinese University of Hong Kong Inauguration Ceremony back in September 2014. During the four-week trial in Court, the recordings played by both the Prosecution and the Defence also sent me down the memory lane of everything that has happened 5 years ago. In March 2014, our Cabinet “Claritas” received a total of 3431 votes, which was equivalent to almost 80 per cent of the total number of votes of confidence, and was officially elected as the 44th Executive Committee of the Student Union of the Chinese University of Hong Kong. When we were campaigning for the election, we published our political platform for our fellow students: we would only accept a form of universal suffrage that had a reasonable threshold and not one that precluded any screening of candidates. We also promised that, if the final constitutional reform proposal did not meet these basic standards, we would during our term of office exert all efforts to promote, propagate, actively participate and facilitate the organisation of the Occupy Central Movement. The subsequent events all took place in fulfilment of these solemn promises we had made to our fellow CUHK students during our Student Union election campaign. “Boycott Classes, Not Education” was the precursor of the Umbrella Movement. Although we did not attend classes, we learned and educated ourselves on democratic theories. That week ended with the recapture of the Civic Square. Students lept faithfully into the Civic Square, but what they had exchanged in return was a siege by policemen and numerous criminal charges. That night, protestors not only desired to fight for democracy, many more times they were calling upon authorities to “protect the students,” because students were simply acting upon their idealistic pursuits, hoping to secure a better future for all. All Hong Kong citizens and students are actually just birds of the same feather on this tortuous road to democracy – we have to learn from our bumps and battle scars, yet our motives are pure and selfless. At the early stages of the Umbrella Movement, participants generously distribute resources, tidily sort their rubbish and even set up self-study areas for students to revise. They were always reaching out and helping those around them without expecting anything in return – these touching scenes have persisted in my mind ever since. It was estimated that over one million people in Hong Kong participated in the 79-day Umbrella Movement, making it the largest scale democratic protest in this city’s history. We insisted to uphold the peaceful and non-violent principle, standing firm on the bottom line of our action in our quest for democracy. 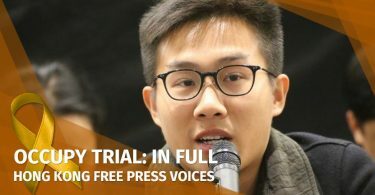 Nevertheless, the Hong Kong Government completely disregarded the clear calls of the public, while the Beijing Government hung onto the unjust “831 Proposal,” eventually leading to the ineffectuality of the Movement. Although I have witnessed countless heart-warming moments throughout the Movement, as our protest became protracted, conflicts accumulated and turned participants’ differences into splits. Towards the end of the Occupy Movement, some of us perhaps felt lost, uneasy and uncertain about the Movement’s fate. As there were divided views, there were doubts. As there were misunderstandings, there were mistrusts. As there was hostility, confrontations gradually emerged. The fruits of today are the seeds of yesterday – since some participants were discontented with our decisions, incidents such as “tearing down the big stage” occurred. Communication problems paved the way for more serious disagreements regarding our city’s political road map, which persisted until this day. The curtains of the Umbrella Movement have been long drawn. We have yet to attain genuine universal suffrage. Yet, we harbour animosity towards each other due to divergence in political stances; we even vocally attack each other, making the wounds among us even more difficult to heal. In the face of recent events such as the disqualification of Legislative Council members and candidates, the Mong Kok Case and different kinds of political oppression, our sense of helplessness took over. Actions aiming to bring about systematic changes, including participation in elections, voting and engagement in the political discourse, were reduced to futile efforts. Pretty much everyone feels lost and unsure of what he could do to effect meaningful changes in this day and age. Human beings are no saints. It is impossible that we do not feel any antipathy towards others. It is just as impossible to tell people to let go of their differences and to not fight each other anymore. My only wish is that people who started on the same path will not grow any further apart. The days to come may be very difficult, but let us not forget about the beauty of our selfless sacrifice at the start. We should work hard on repairing relationships with each other and understanding each other’s thoughts and difficulties. We can only go further if we replace rejection and antipathy with tolerance and communication. We can only go further if we hold true to our original intention. The students then are now all grown up. Some of them might have become more seasoned and tactful. Nonetheless, I know that we all remember our original intention: together we choose our own destiny. I knew as early as five years ago that I would eventually find myself at the defendant’s dock today, but for our small yet precious city’s future, I remain true to my original intention. I am incredibly honoured and privilege to be able to participate in the Umbrella Movement with my fellow comrades. In spite of criminal sanctions, I will remain neither condescending nor servile. With the impending sentence, I know many of you would feel sorrowful and miserable. But when it is all over, I hope that you will all remain resilient, harness your feelings and transmute that energy into a positive force that safeguards our original intention. I count on you to continue leading our society forward.